Botanical name: Backhousia citriodora. Ingredients: 100% v/v pure Lemon Myrtle essential oil. Lemon Myrtle essential oil, is one of Australia's most exciting aromas. Lemon Myrtle essential oil is great in an oil burner or diffuser, it is uplifting, refreshing, great for people who feel a bit down. Lemon Myrtle essential oil will freshen a home or room. Lemon Myrtle essential oil is able to rid rooms of mouldy or bad smells. 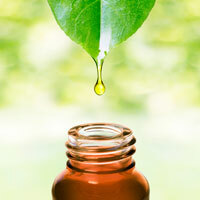 In skincare, myrtle essential oil is valued for its astringent properties. It also seems useful for relaxation, uplifting emotions, and soothing sleep. Lemon Myrtle's extraordinarily high level of citral should make it a powerful antibacterial, antiseptic, and antifungal agent.